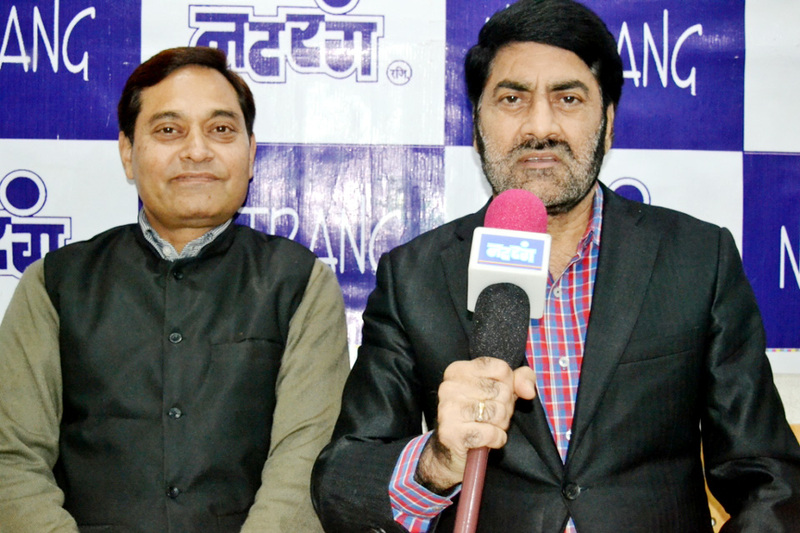 JAMMU, Nov 8: Director Natrang Balwant Thakur expressed his displeasure about cutting short the programme duration of Doordarshan Jammu from four and a half hour to half an hour. Briefing the media Balwant Thakur said that he was shocked after coming to know from news that Jammu Doordarshan is almost at the verge of being disbanded as its programme duration from hour and half hour is being reduced to mere half an hour. Authorities of Doord-arshan sitting at Delhi have not been able to realize this fact that in this troubled part of the country, local Doordarshan has played a major role in countering PAK- Propa-ganda in addition to the preservation and promotion of local language and culture. He further said that lot of local artists, producers, musicians, dancers and literary people who are engaged in production and presentation of Jammu Doordarshan programme and this sudden decision has further discouraged the already dying movement of art and culture in the state. Local artists and writers have been demanding for a full fledged Dogri Channel since long as it is the larger responsibility of the state to preserve, propagate and disseminate the local language and culture. On the occasion, Balwant Thakur appealed all the stakeholders to stress upon the Doordarshan authorities to revoke the decision and initiate processes for the establishment of a full fledged Dogri channel. He held local politicians responsible for such adverse decision which will ruin Dogri language and culture.